Over the last couple of months I have been feeling so grateful for all of the positive feedback that has come in about Make Yourself Cozy. It’s incredibly humbling and I feel so lucky to have such sweet readers💕. If you have read my book and you have a few minutes to spare, can you please leave a short review on Amazon for it? It makes a huge difference in helping to get my book in front of other potential readers who might like it too. You can find the link to Make Yourself Cozy on Amazon here: https://www.amazon.com/dp/1449493688. If you already have left a review, I really do appreciate it! Valentine's Day Cards are in the shop! Valentine’s Day is just around the corner! 💕 It is one of my most favorite times of the year because everything is all pink and sparkly :) I really love designing Valentine cards, but not only because the color palette is so pretty. See, I’ve never been great at talking about my feelings, but writing them down is always easier. A lot of my designs are actually inspired by the things I want to say to the people in my own life. I hear often from my customers how they relate to the awkwardness of talking about feelings and that my cards express what they couldn’t put into words before. I think it’s so sweet and humbling to make something that can create a special moment in someone else’s relationship. You can head over to my Etsy shop to find those heartfelt, sometimes awkward but funny, and sweet cards for all kinds of love and relationships. Shop them all here. This week only you can get 20% off all Valentine’s Day & Love cards in my Etsy shop with coupon code BEMINE2019 during checkout💕. Hurry because it expires this Saturday, February 2, 2019 at 11:59 PM EST! Oh dear how is it already December? I hope you are having a wonderful holiday season so far. It’s been a little busy here this fall with our wedding, my books, and our recent honeymoon trip (I’ll post about that trip soon). I’m looking forward to finding a few moments over the next couple of weeks to relax and do some Christmasy things like baking cookies and watching Christmas movies. My favorite ones that I watch every year are “National Lampoon’s Christmas Vacation,” “Love Actually,” “The Holiday,” and “The Santa Clause.” For baking, I’m definitely in the mood to bake some of my usual spicy gingerbread cookies from the Smitten Kitchen blog, homemade cinnamon rolls (I know they are time consuming but oh my goodness the smell of warm, yeasty dough is one of the best things in the world I think), and I’m also thinking of picking out a new recipe to try from one of my favorite food blogs, Half Baked Harvest. One other thing I love to do during Christmas season is to mail out greeting cards to friends and family. It’s kind of an old-fashioned thing I guess, but growing up it was always exciting seeing cards come in the mail from loved ones. My mom hung them up like garland around the door frame in our dining room. Now, I decorate our stair balusters with holiday cards we get in the mail. Christmas is my favorite holiday to design cards for. 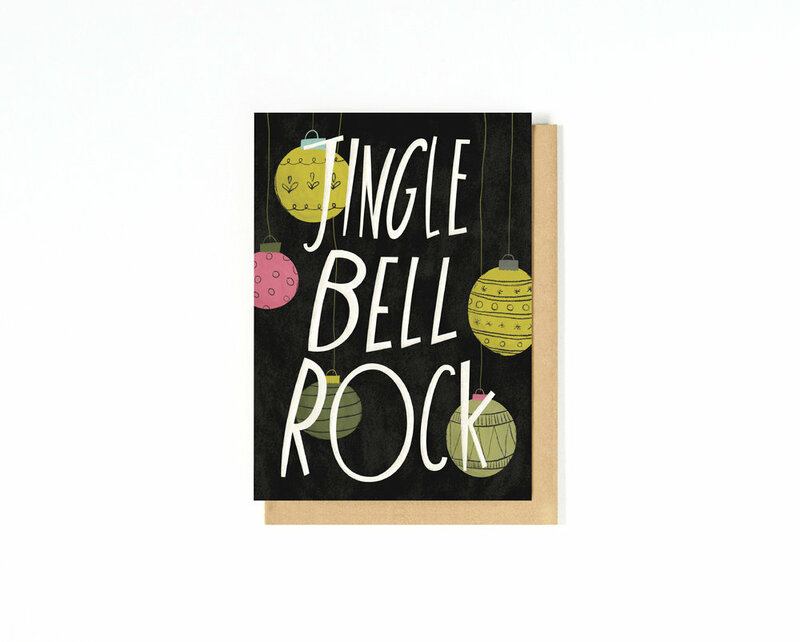 This year in my Etsy shop, I’ve added a couple of new holiday greeting cards and prints. Last week I had such an awesome conversation with one of my dear friends during our biweekly Skype dates where we talk about work and business goals. I had mentioned that I lately have been feeling a little disconnected from my usual audience, particularly with my stationery shop. Since I opened my shop in 2012 when I was about 24, my work had always seemed to resonate very strongly with women in the 18-24ish age group. I’ve been noticing in the last year or so that the connection doesn’t feel quite as strong as it used to be with that particular audience. My friend pointed out that I create work that is very personal to me, so it makes sense that as I’m growing older, so is my audience. Yes, I may not be connecting with young college students the way I did when I was barely out of college myself, but now I’m entering a different stage in life and it’s full of new experiences that I think will resonate with a different, but just as awesome, audience. At first I had wondered if my work was simply becoming irrelevant in the world (a common fear of any creative person maybe?) and that felt very scary. I never really thought about it this way. It’s true that I can’t help but make work that is incredibly personal to me. My own life experiences have been the biggest source of inspiration for my work. Of course it will evolve then, just like me. My work is so closely tied to me and my life. The brand in my stationery shop is the same way. I’ve tried creating a brand for my shop that is separate and it’s own thing, to make it more cohesive, and less affected by my current tastes and moods. I’ve felt very frustrated in seeing how other shops seem to do that better. They may have a strong color palette that they stick to, consistent styles and typography (which all obviously make for a very good brand identity). I’ve just always struggled with that with mine. The designs in my shop shift and morph as I grow as an illustrator. Now, instead of making more designs that would be super relevant to an 18 year old, I’m feeling myself shift into wanting to create artwork based on what I’m experiencing now (like finally feeling more comfortable in my own skin and other adventures of growing older). I’m only 31 now, and I do hope I’m not making it seem like that’s old because I don’t think it is. It’s just different. It was eye-opening talking about all of this with my friend. Instead of feeling frustrated that my work being very personal is somehow a hindrance, I want to try to embrace this about me. When I think about being incredibly authentic (an overused word in today’s world, I know) and vulnerable in my work, I imagine that it feels so much more fulfilling in the end. I like the idea of connecting deeper with an audience that’s growing along with me. That brings me to the reason I wanted to write this post in the first place. I like sharing the backstory for where my book ideas come from, to give you a little peek into my head. As you can guess, the idea for my newest book, Make Yourself Cozy, comes from my own life experience. If you’ve been following my work for a couple of years, you’ll probably know that I deal with anxiety on a daily basis and am a chronic overthinker (sometimes to a debilitating degree). My mind is my best friend and my worst enemy at the same time. When I was seeing a counselor a few years ago to do some cognitive behavioral therapy, I learned about the idea of self-care as a way of managing anxiety. The therapy was incredibly helpful, and I find myself using the ideas my counselor taught me very often. When I’m anxious or sad, I’ve always felt myself be drawn to things that are cozy to comfort me as I retreat inwards. I’ll want to sit in a ball in the softest blanket and put on a Harry Potter or Twilight movie to escape into, and maybe cook up a big bowl of hot soup. There’s something about slowing down and finding peace in the ordinary things around me that comforts me so much. Making myself cozy has always been a big part of my self-care, which is exactly where the idea for Make Yourself Cozy comes from. It’s similar to and inspired by the Danish concept of “hygge” (apparently pronounced like “hoo-gah”) which is about seeking well-being through slowing down, being cozy, and finding joy in the simple moments of life. I experienced this first hand when I visited Norway around Christmastime a few years ago. While in Oslo, there were a couple of hours of daylight, but when we visited Tromsø which is above the arctic circle, the sun didn’t come above the horizon at all. For a couple of hours in the middle of the day, there was some dim light that made it look like it was dusk. 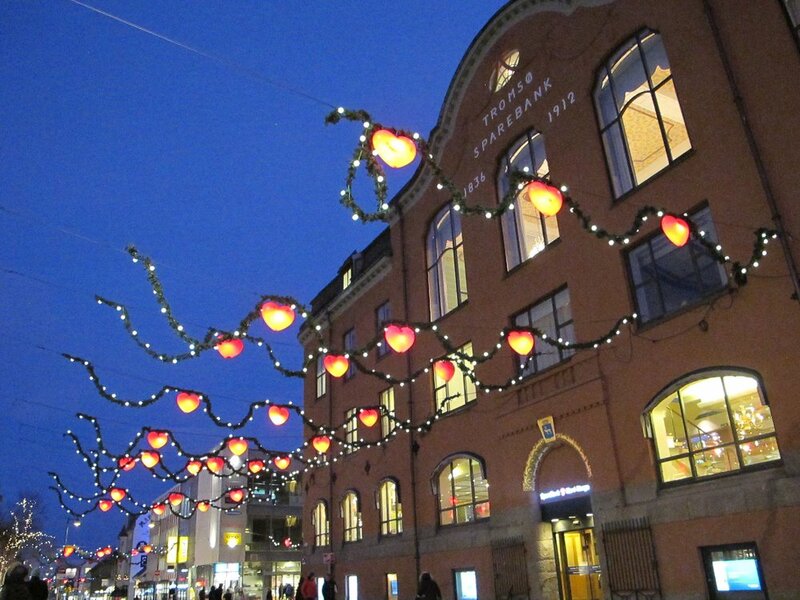 Although it was cold and dark, Norway was one of the coziest, comfiest places I’ve ever visited. They handle dark winters perfectly. There were candles and cozy lighting everywhere, in homes and even in shops and restaurants. Also, have you ever experienced heated floors in the winter? Our hotel and Airbnb had them and it was so incredibly cozy. Someday I would love a house with that. One of my favorite memories of that trip is when one day while walking around Oslo, my friend and I stopped for lunch at a restaurant, where we were seated next to a cozy, warm fireplace. We sat there and relaxed by the fire, sharing delicious food and wine together, wearing comfy sweaters, chatting and not in a hurry to be anywhere else, our faces rosy from the outside winter air. So much hygge! 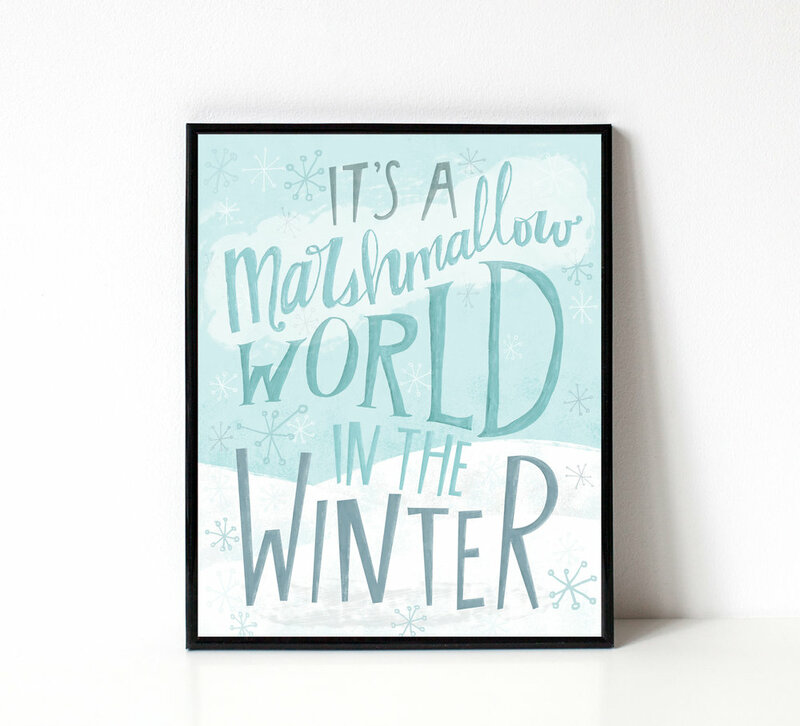 Not only did I discover my love for all things Scandinavian on that trip, I also learned how to make winters here feel way less depressing and dark. In making Make Yourself Cozy, I wanted to share all the ways that cozy self-care has been useful in my own life. I want to show how the things already around you can bring you peace—self-care doesn’t have to mean going out and buying a bunch of stuff. I really believe the simple act of having enough “me time,” (particularly the cozy kind) for yourself is so important in the practice of self-care, and many of the tips and prompts in my book encourage that. 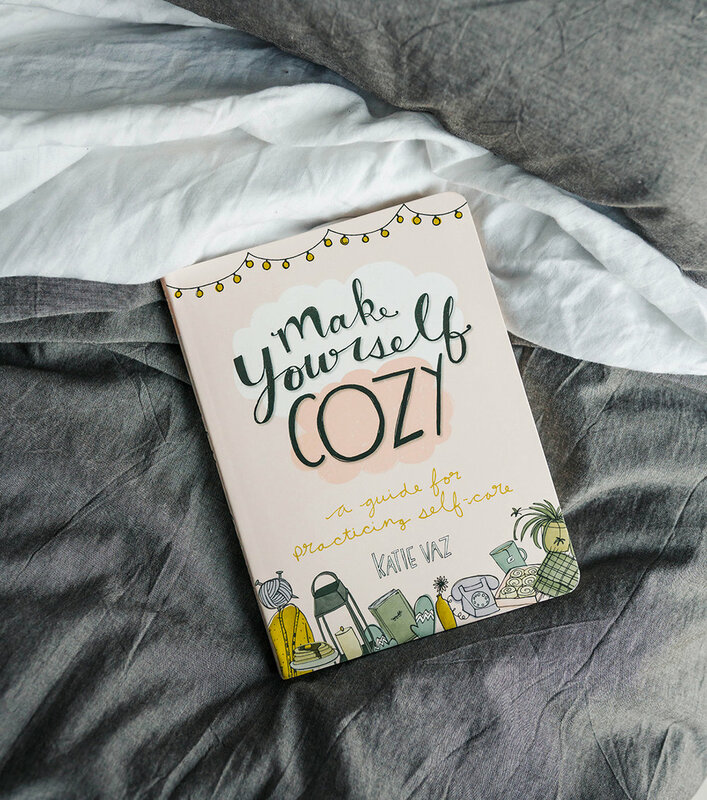 My hope is that Make Yourself Cozy will feel like a big hug to your heart, while also being a comforting tool in helping you slow down and find contentment through the simple act of being cozy.